With the progress in technology and a noticeable spike of early adopters, Video Interviews are getting a lot of buzz among recruiters today. Not only does it save their time and cost of traveling, but it also helps them in getting the candidate’s communication skills, personality & talent, which a Text Resumes fails to convey entirely. Let’s talk about the different processes involved and the basic things you should keep in mind if you go for a video interview. 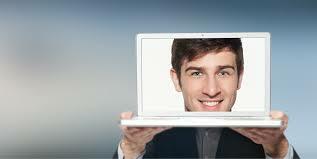 The Video Interviews should not be taken lightly just because you have the option to give it from anywhere. Be dressed formally. Make sure you have a proper internet connection and a good Camera to avoid any disruption during the interview. The above should be carefully taken into consideration since a bad quality video interview may be the cause of rejection. Body Language and Surrounding Environment. The Video Interviews are mostly focussed on checking your interaction, communication and presentation skills. Looking at the camera, sitting straight and speaking with confidence will give you the brownie points you need to start with. The most important thing in the video interview process is the environment you choose. Avoid places with bad light and/or noisy and messy backgrounds. Since you may feel camera - conscious at first, practice speaking and presenting to the mirror, or ask your friends to record a video beforehand to clearly see your performance. 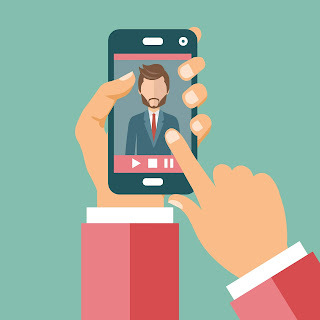 Show your videos to someone more experienced to you, probably someone who is in the recruiting process, and ask them for suggestions. General tip: Never forget to follow up with the recruiter. After your interview is done, make sure you drop an Email thanking them. These follow up emails help in building more strong connections and is a very good way to increase your chances of getting hired.